In this article, Lee Mason analyses how effective the Unconscionable Contracts Ordinance (Cap. 458) is in protecting consumers against unfair terms in standard form contracts and concludes that urgent reform is needed. The written terms of consumer contracts are seldom, if ever, individually negotiated between a business entity (a supplier of goods or services) and the consumer. Rather, other than those terms which relate to the price and subject matter, the contractual terms will almost always be set out in standard form on a “take it or leave it” basis. As such, the terms are often one-sided, in favour of the supplier, and often written in small print or in legal language which is difficult for consumers to understand. Further, against this background, consumers often sign contracts “there and then” without having read or understood the terms, perhaps even feeling pressured to conclude the contract quickly without perusing or questioning its contents. Even where consumers are aware of any unfavourable terms, they may feel – perhaps justifiably so – that they have no bargaining power to negotiate the terms, especially where such terms are standard across the industry. Examples of industry standard form non-negotiable contracts with which the general public are quite familiar include those made with television service providers, telecommunications service providers, fitness clubs and beauty service providers. Although there is sufficient statutory protection from unfair terms which seek to require a consumer to either indemnify a supplier for any losses caused to the supplier by the consumer’s negligence, or to limit or exclude a supplier’s liability to the consumer for breach of contract, negligence or misrepresentation (in the form of the Control of Exemption Clauses Ordinance (Cap. 71), the Supply of Services (Implied Terms) Ordinance (Cap. 457) and the Misrepresentation Ordinance (Cap. 284)), such statutory protection does not address unfair terms which seek to serve other purposes. The only statutory recourse against such other unfair terms is the Unconscionable Contracts Ordinance (Cap. 458) (“UCO”) which allows the court to rule such terms to be unenforceable. Examples of such unfair terms could include those allowing a supplier to unilaterally vary the terms of the contract without notifying the consumer, those detailing fees payable by the consumer for early cancellation of a contracted service and those permitting a supplier to automatically renew contractually expired services. The truth, however, is that the UCO is of very little utility in protecting consumers from these unfair terms. In order for the court to rule that the term being challenged is unenforceable, s. 5(1) of the Ordinance requires that it must be found that the term is “unconscionable”. Although the Ordinance does not define exactly what constitutes an “unconscionable” term, s. 6(1) does provide a non-exhaustive list of factors which the court may have regard to when determining the existence of such unconscionability, such as the relative bargaining strengths of the parties and the possibility of the consumer having acquired the same goods or services from another party on terms different to the terms in question. Furthermore, based on a Court of First Instance decision (Shum Kit Ching v Caesar Beauty Centre Ltd  3 HKLRD 422), it would seem that, in determining whether a contract term is “unconscionable” for the purpose of s. 5(1) of the UCO, the court must have regard to “all circumstances” relevant to that issue, as well as the factors listed in s. 6(1) as appropriate. It is in this regard – the statutory wording (or lack thereof) and the judicial interpretation of it – that the deficiency in the UCO’s efficacy becomes clear: as noted by the Consumer Council in a 2012 Report, “the court would tend to focus on the totality of the circumstances and conduct that give rise to unfairness in the bargaining process rather than the meaning and effect of the term alone”. Such a “totality-approach” by the court means that a single unfair term, by itself, cannot be regarded as unconscionable and unenforceable under the UCO. Rather, it would seem that, so long as there is procedural fairness in the way the contract has been formed, any substantive unfairness from an individual term would be over-looked and incapable of being found unconscionable under the UCO. The sheer dearth of successful claims brought under the UCO since the Ordinance came into force in 1995 (that is, a mere four in total) supports the proposition that this legislative protection is seriously ineffectual. 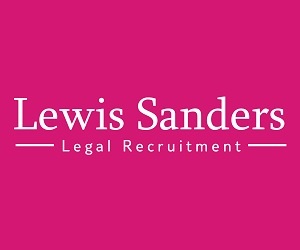 By contrast, the equivalent statutory protection in the UK (the Unfair Terms in Consumer Contracts Regulations 1999 (“UTCCR”)) is comparatively much more effective in protecting consumers from unfair contract terms. Under regulation 8(1) of the UK’s UTCCR, a contract term is unenforceable if it is found to be “unfair”. According to regulation 5(1) of the legislation, an “unfair” term is one which “causes a significant imbalance in the parties’ rights and obligations … to the detriment of the consumer”. As well as Schedule 2 of the Regulations setting out a non-exhaustive list of terms which may be regarded as unfair, a body of case law has built up around the UTCCR, providing further guidance for its application, including a UK House of Lords decision (Director General of Fair Trading v First National Bank Plc  UKHL 52) which provided an elaboration of the meaning of “significant imbalance”, that is “a term is so weighted in favour of the supplier as to tilt the parties’ rights and obligations under the contract significantly in his favour.” In that decision, the House of Lords also discussed the notion of “good faith” in consumer contracts, a concept described in the decision as requiring “fair and open dealing”, where terms are “expressed fully, clearly and legibly, containing no concealed pitfalls or traps” and where a supplier does not take advantage of the consumer’s “necessity, indigence, lack of experience, unfamiliarity with the subject matter of the contract, [or] weak bargaining position”. Moreover, that House of Lords decision shed further light on how the courts would determine unfairness, including: the effect of the contract with as compared to without the relevant term; the effect of the term on the substance of the transaction; whether the consumer would have likely been surprised had the term been drawn to his attention; whether the term is a standard term; and whether the consumer might reasonably be expected to object to the inclusion of the term. Such elaboration and elucidation of the UTCCR in the UK has strengthened its efficacy, enabling it to have been, and continue to be, successfully employed on a number of occasions for the protection of UK consumers against unfair contract terms, prompting business parties to reconsider (and rewrite) many of their standard form contract terms. This, then, raises the question as to why Hong Kong’s UCO is so comparatively ineffectual, with an extremely little elucidative body of case law. It might be thought that the reason for the comparative ineffectuality of the UCO is that it is substantively different to the UTCCR. However, this would not be correct. 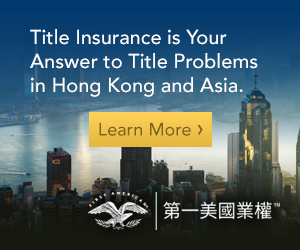 Even if the Hong Kong courts do, indeed, take a “totality-approach” (thereby making it difficult to have a single unfair term rendered unconscionable and unenforceable), this is no different from the position under the UTCCR where regulation 6(1) requires the UK courts to assess the fairness of a contract term by reference to “all the circumstances attending the conclusion of the contract and to all other terms of the contract”. Furthermore, although the UTCCR refers to terms which are “unfair” as opposed to the UCO which refers to terms that are “unconscionable”, there is no substantive distinction between such terminology since the definitional guides for these two adjectives (set out within the two respective pieces of legislation) are substantively the same. Nevertheless, it may well be this difference in terminology which explains the sheer lack of litigation brought under the UCO and, indeed, the sheer lack of success in having the court rule unfair terms to be unenforceable. It might be that the word “unconscionable” is perceived, in some way, to constitute a higher test than “unfair”: if it is, then a contract term which is simply unfair would not be enough to fall within the protection of the UCO. Rather, the term might have to be something akin to grossly unfair in order for it to be held unenforceable. Indeed, prior to the enactment of the UCO, the Law Reform Commission, in a 1990 Report, expressed concern that “unconscionability is a very high test and a harder test than unfairness” and, as such, the Commission thought that the use of such terminology in the then proposed Ordinance would likely mean that such legislation would “apply only to extreme cases, which would be very rare”. Indeed, in light of its practical ineffectuality during the last 19 years since the UCO came into force, it seems that the Commission’s concerns were not inapposite. Another possible reason for the sheer lack of claims brought under the UCO for unfair terms in standard form consumer contracts is the fact that there is no Hong Kong equivalent of the UK’s Competition and Markets Authority (“CMA”), ie, a consumer rights body that can pursue claims, bringing a representative action, on behalf of aggrieved consumers. 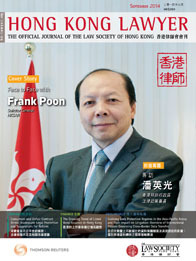 Indeed, Hong Kong’s Consumer Council has made clear that it is not a law enforcement agency and, in 2008, stated that the only means of redress for aggrieved consumers would be for those consumers to take civil action on their own which, the Council acknowledged, would be a “daunting task”. Given these reasons for the sheer lack of efficacy of the UCO and, as such, the deficiency in Hong Kong’s consumer protection regime with regard to unfair terms in standard form consumer contracts, there appears to be an urgent need for reform. Indeed, in 2008, the Consumer Council noted the inadequacy of the consumer protection framework relative to the adoption of unfair terms in standard form consumer contracts as being “below the standards found in comparable advanced economies; and should therefore be addressed”. One suggestion, as recommended by the Consumer Council in 2008 (albeit without elaboration), is for the enactment of an Unfair Terms in Consumer Contracts Ordinance, similar to the UK’s UTCCR, to replace (or supplement) the UCO. As the name suggests, such legislation could be directed at “unfair” terms rather than “unconscionable” terms, lest the latter inadvertently implies a higher test which requires something more than mere unfairness. If such a proposal for reform was taken seriously, there exists a ready-made statutory framework, in the form of the UTCCR, which could be adopted or adapted, together with a ready-available body of UK case law to help guide local judges on the application of such a statute. Another suggested reform would be for the Government to set up an enforcement body that could take representative action on behalf of aggrieved consumers, as does the CMA in the UK. Alternatively, perhaps the Consumer Council’s remit could be widened, through legislation, to give it enforcement powers to more directly realise its statutory function “to protect and promote the interests of consumers” (in accordance with s. 4(1) of the Consumer Council Ordinance (Cap. 216)). Either way, given the widespread practice of adopting unfair terms in standard form consumer contracts, it is argued that the UCO, as the only local legislation designed to catch such terms (other than exemption clauses and indemnity clauses), is woefully inadequate and ineffective. As such, urgent reform of the current consumer protection regime against unfair terms in standard form contracts is necessary to reduce the exploitation of consumers in Hong Kong and to redress the imbalance in bargaining strengths between consumers and business entities. Indeed, it is essential that, as an advanced economy and distinguished Asian commercial centre, Hong Kong does not lag behind in any aspect of consumer protection law but, rather, stands as a leading example, at the very least, to the rest of China. Lee Mason is called to the Bar of England and Wales and is a CEDR and HKMAAL Accredited Mediator. 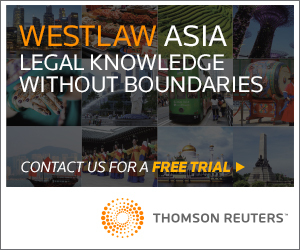 As an Assistant Professor of Law at the University of Hong Kong, he has written extensively on the Law of Contract and is currently conducting research in the area of Consumer Protection.